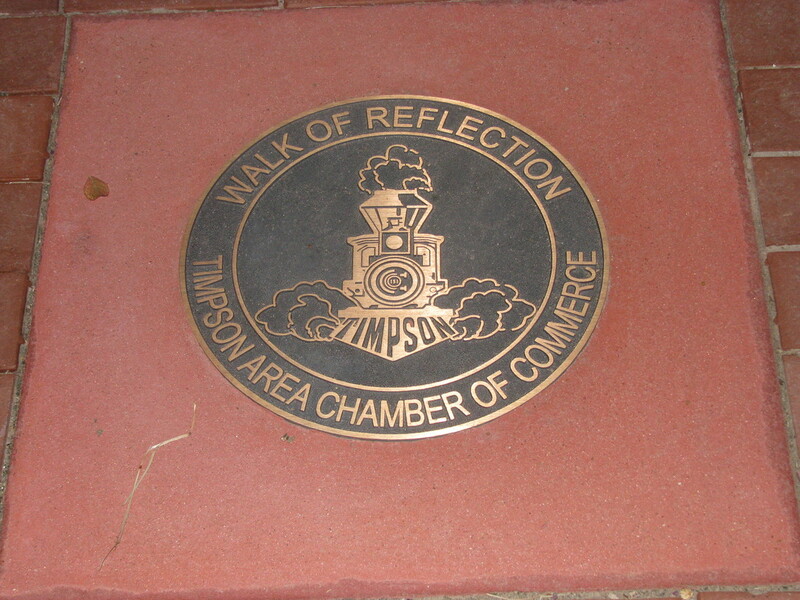 The Timpson Area Chamber of Commerce, made up of volunteers, is organized to advance the general welfare and prosperity of the Timpson Area so that its citizens and all areas of its business community shall prosper. The object and purposes of the Chamber of Commerce are to foster, to protect and to promote the commercial, industrial, agribusiness, civic cultural, educational and general interests of our city and surrounding area. Individuals, organizations, and businesses are invited to be a part of a new brick-paving project planned for Timpson downtown Park Plaza area. The brick walk will feature a wide variety of personal messages that will be permanently set and visible for years to come. Bricks can commemorate birthdays, anniversaries, ancestor and/or family name and dates, military service, high school or college class graduation, organization, business, or other memorable event/honor. Any brick can say "In Memory of" or "In Honor of" in the first line. For specific details, please click here. 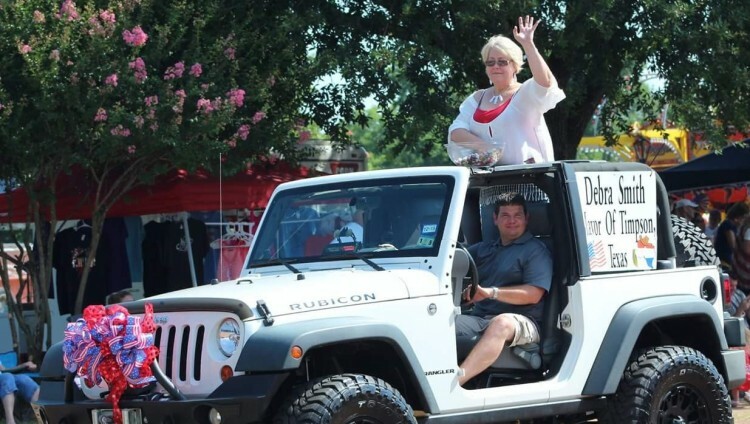 ANNUAL EVENTS: 2018 ANNUAL FRONTIER DAYS WILL KICK OFF THURSDAY, JULY 5TH - SUNDAY, JULY 8th. FOR MORE INFORMATION, PLEASE CALL 936-254-3161 M - W (Paul Smith) or 936-254-2966 on Thursdays ask for Marilyn Corder.